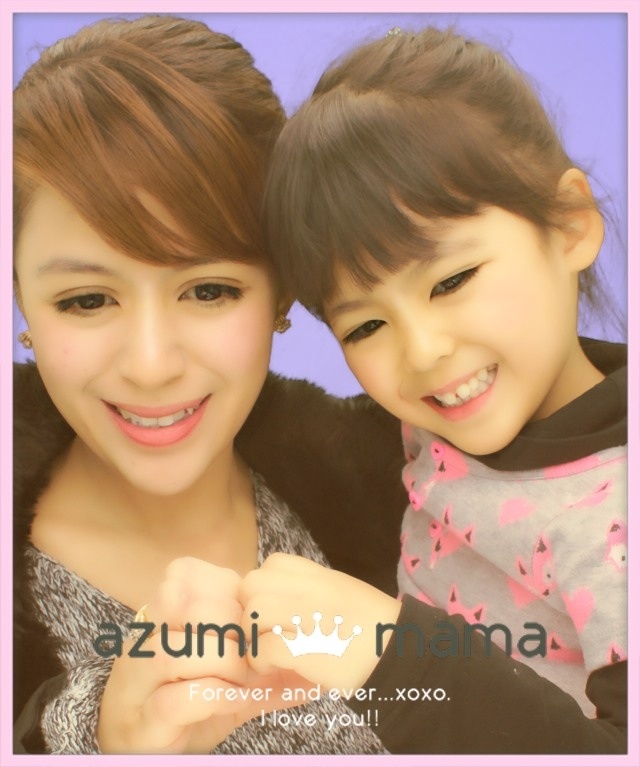 Happy 20 months to our little kawaii princess Azumi . It has taken me almost a week to write something about your 20th month because we were busy bees this week.. I would never want to miss writing a monthly sentiments for you and our readers to read on. OH TWENTY.. 4 months to go before your big day. Daddy (and momma too) is working hard on gearing your 2nd birthday in the Philippines, details are sealed yet . Azumi is always up to all kinds of fun. Yeah I always say this almost every month but last month was yet the best, and the busiest month so far. With her Tita Nix around, I am trying hard to keep up but sadly, I've never been good with time management. I had so much things to share but time is so little for me. The last two months were full of fun experiences and advantures, milestones and accomplishments, both big and small. She's always tagged in every where we go -shopping, karaoke, Shibuya, Shinjyuku, Yokohama, Tachikawa, BBQ, etc. She can count 1-13 then skips to 15 and 20. I'm so proud of her and myself. Successful potty train, but still with diaper though. Getting ready for diaper free before she turns 2, hopefully. She always want to eat by herself, and it's not as messy as before. She's like Kris Aquino that is so talkative. It's cool that she begun to repeat everything we say that might be dangerous but it's cute lol. She actually use a lot of real words and pretty much haven’t stopped. I read somewhere that toddlers generally learn about 10 words to their vocabulary every day. I wouldn't be surprised if one of these days she can talk in a complete sentence. Just wondering if it would be english, or japanese, or japanenglish. I'm working hard for her to be a multi-lingual kid. Here’s to many more fun, bonding, laughs and learning adventures! Ahahaha marunong ng magblog si Anzy heheheh. Happy 20th month celebraion princess! Love her latest vid with grams hehehe, kakatuwa..
She's nearing her 20th month and its really a milestone for her. Her enrolling in a pre school really accelerated her learning skills and she has proven to be very intelligent indeed. Her first vacation to the Philippines will be a highlight of her young life. Siguradong pagkakaguluhan siya nang mga kamaganak ninyo sa Pinas. Her potty training will go on as scheduled, no need to unnecessarily hurry her. Here's a toast to the beautiful and intelligent Ja-Phil princess. Thanks for the post. God bless you all always. Your gorgeous daughter is growing up so fast. Enjoy every moment. Kumusta na po? Happy 20th month! I love how you journal as if talking to her. Someday she will read your blog and would realize how precious she is to both her parents. Suspense naman ang celebration. Have a great week! happy 20th month to the cute baby! and congrats to your milestones... keep it up! ayay! sa pinas pala ang celebration...how exciting...sama kami ni Akesh....lol! Congrats mommy, success sa potty train/ wow buti ka pa si jake ayaw talaga umupo sa potty niya. kahit we always show him how we potty, snob ever ang jakoy namin. Wow galing ni anzu not 2 years old yet but she know abc, 123 way to go anzu. sipag ng mommy magturo. shopaholic, fashonista, pretty and smart baby pa.